PENSACOLA, Fla., July 24, 2018 – Service personnel and their spouses participated in career development programs and learned more about post-military career opportunities at Hiring Our Heroes Transition Summits recently hosted by Naval Air Station Pensacola and Eglin Air Force Base in Florida. The two summits, coordinated by the U.S. Chamber of Commerce Foundation’s Hiring Our Heroes Program, concluded with interactive panel discussions and a hiring fair. 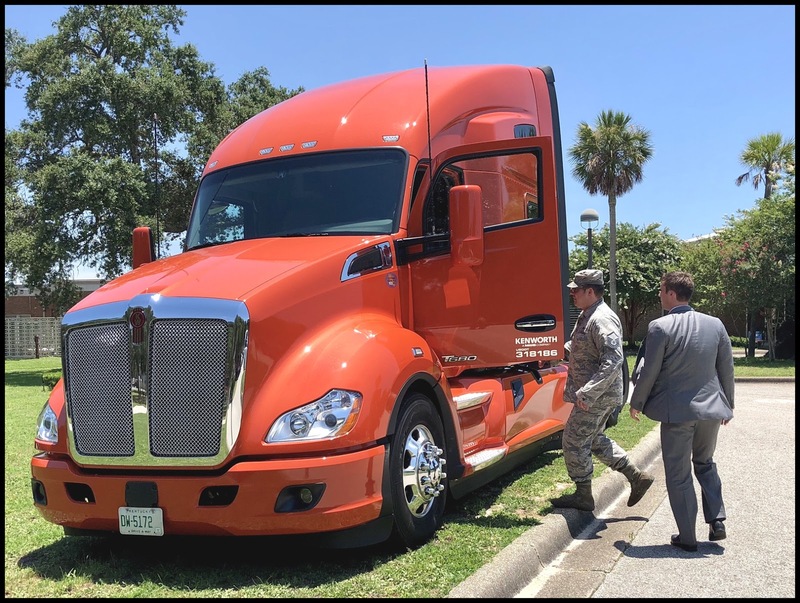 Kenworth is teaming up with the FASTPORT Trucking Track Mentoring Program and the Hiring our Heroes Program to find America’s top rookie military veteran who has successfully transitioned from active duty to driving trucks. For the third consecutive year, Kenworth is donating a T680 equipped with a 76-inch sleeper and PACCAR MX-13 engine to serve as the “Transition Trucking – Driving for Excellence” award. At the hiring fairs, transitioning service personnel got a close look at a Kenworth T680, which will continue to be displayed at future hiring summits to encourage transitioning service members to explore trucking industry opportunities. 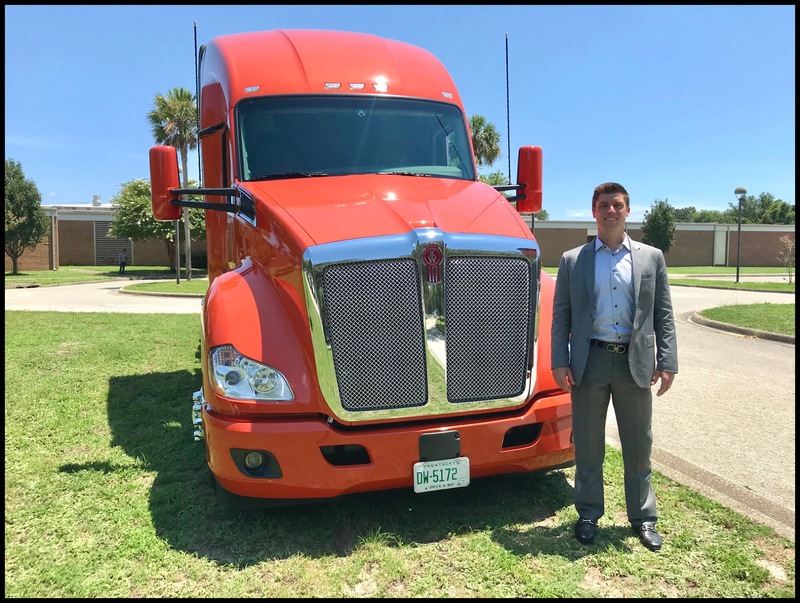 U.S. Army veteran Drew Bennett, Kenworth’s Southeast region fleet sales manager, served as Kenworth’s ambassador at both the Naval Air Station Pensacola and Eglin Air Force Base events. Bennett enlisted in the U.S. Army following the attacks on September 11, 2001. He served as a light-wheeled vehicle mechanic in Special Operations and completed three combat deployments during Operation Iraqi Freedom. 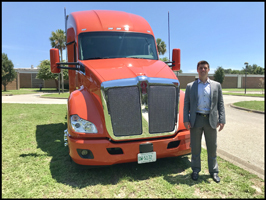 In his senior year, Bennett attended a career fair where he learned about a 2-year leadership development program in the trucking industry and interviewed for the position. “I believe my military experience, combined with my business degree, set me apart from the other candidates. More recently, I found my home at Kenworth in my current position, he said. “I’m proud to work for Kenworth, a company that partners with programs such as Hiring Our Heroes, and makes a big investment in supporting veterans and their families. It was rewarding to meet with those servicemen and servicewomen at Naval Air Station Pensacola and Eglin Air Force Base, and show them the industry leading benefits of the Kenworth T680, while also offering my counsel and advice from my own experience in making the transition from a military to a civilian career,” said Bennett, who made 10-minute presentations on those topics at both Hiring Our Heroes events. For further information on the Transition Trucking: Driving for Excellence recognition program, please visit www.transitiontrucking.org. More information on Hiring Our Heroes is available at: www.uschamberfoundation.org/hiring-our-heroes.